Holmes Media are proud to announce that their new and unique lead type for the heating industry will be launching in September 2017. ‘YouOffer’ leads are exclusive, price-conditioned leads which will enable installers to provide offers to ready-to-buy customers via a complete online process with no need for a site visit. An industry first, YouOffer leads mark a huge step forward for the heating industry with a completely online process. The customer will post a highly detailed job specification with photographs to help installers price their offer with no need for a site visit. An installer can win the work completely online, saving valuable time and costs as a result. Once an installer’s offer is accepted, only they are able to make direct contact with the customer making the lead completely exclusive. There is no charge for providing an online offer as only the successful installer will pay a fee when their offer is accepted. For the customer this means they can compare the offers of up to 5 different companies via a single online dashboard. Only the company they select will be in contact with them and they avoid the inconvenience of waiting home for multiple site visits. Historically, customers have submitted online enquiries via Holmes Media’s website, www.boilerguide.co.uk. Holmes Media then telephone qualify every lead to ensure it is a genuine enquiry and all information is correct. 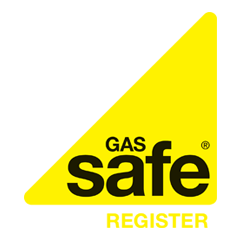 Once qualified, a maximum of 3 installers can pay for the opportunity to contact the customer, assess the work needed and supply a quote. Holmes Media will continue to offer this conventional quote journey, but from September will also be offering the new and unique YouOffer leads service.